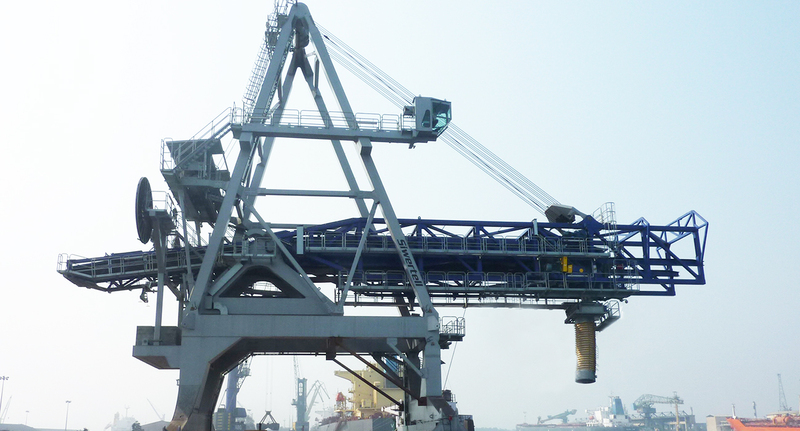 A Siwertell shiploader has been in operation with Essar Ltd in the Port of Paradip, India, since 2012. Its delivery formed part of Essar’s modernisation project that takes the Paradip dry bulk terminal to new levels of efficiency and environmental protection. The Port of Paradip is located in the Bay of Bengal and is the most convenient deep-water port for the eastern and north-eastern parts of India. Its strategic location makes it an important hub for bulk handling. Essar needed an efficient, reliable solution for open-hatch bulk barrier loading, as part of the port’s modernisation of its export facilities, which included a bulk handling capacity increase for the terminal. Minimal environmental impact was an important consideration. 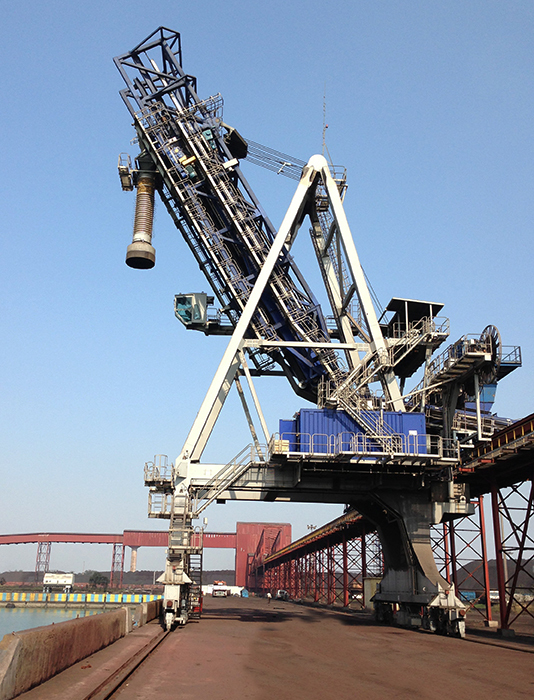 A Siwertell SBL 1600TL ship loader represented an ideal solution for Essar’s requirements. It is designed to load ships up to 100,000 dwt and can load iron ore pellets at a rated capacity of 4,000t/h and a peak capacity of 4,400t/h. 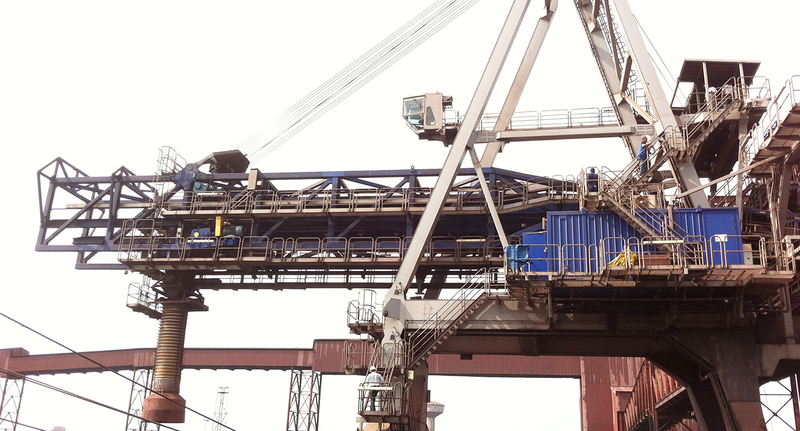 Siwertell’s heavy travelling belt-type ship loader delivery featured a belt width of 1.6m and a loading chute to reduce dust emissions during loading operations. Siwertell also supplied the design drawings for the tripper discharge arrangement from a customer-designed jetty belt conveyor. A water spray system is also installed to further aid dust suppression. The Siwertell ship loader was delivered in 2011 and following testing and commissioning it commenced commercial operations in 2012. Essar’s dry bulk Paradip terminal now has the capacity to handle 16 million tonnes of iron ore pellets per annum. 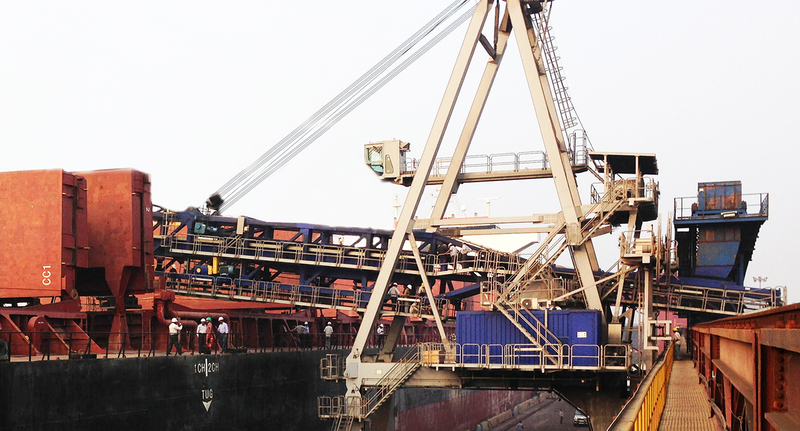 Iron ore pellets are reclaimed from the stockyard and transported to the bulk carriers via high-speed conveyors. 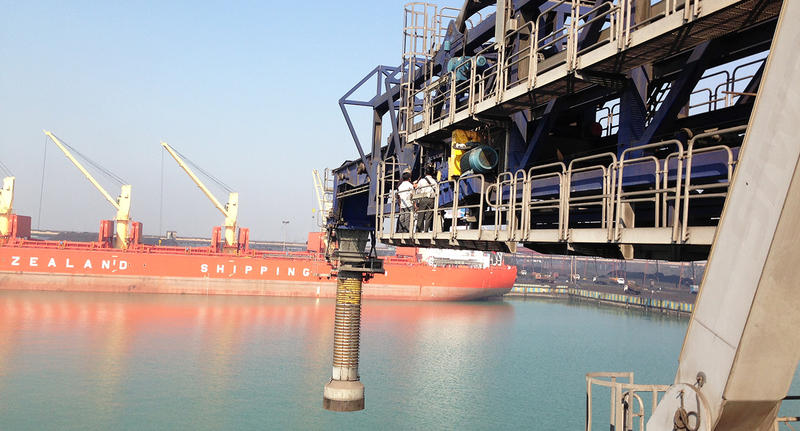 The cargo is then loaded into the ships through the mechanised Siwertell ship loader system. The dust suppression system moistens the cargo and reduces dust emissions, minimising the environmental impact of the terminal’s operations and improving its working conditions. Essar is pleased with the performance, reliability and cleanliness of its loader.